We don’t yet know much about Friday’s shooting at a Planned Parenthood facility. But we do know that evil exists, and suffering shouldn’t be exploited for political gain. We don’t yet know much about Friday’s shooting at a Planned Parenthood facility in Colorado Springs, Colorado. Robert Lewis Dear took the facility in a siege lasting five hours, killed three people and injured nine more. As information trickles out, it seems increasingly likely that Dear was mentally unstable. His ex-wife said he looked much more unkempt on television than she knew him to be and “Something must have happened to him when he moved away, that’s all I know.” His record isn’t spotless, with arrests for animal cruelty and voyeurism. There are reports he was prone to hiding food in the woods and fond of skinny dipping. Dear’s response to pro-life sentiments was decidedly anti-life. He may well turn out to have believed he was receiving orders from the little people in the television or the dogs in his neighborhood he so loathed, but at this juncture virtually everything is inference and assumption. To flatly assert motive, especially so nebulous a motive as “rhetoric,” is irresponsible. To flatly assert motive, especially so nebulous a motive as ‘rhetoric,’ is irresponsible. Of course, the narrative isn’t about staid truth, but emotion. Wait, narrative? There’s no narrative, just objective truths pushing against right-wing lies. In other words, we knew the spin would happen. The ethics of collecting fetal tissue? A “grim light?” DelReal obviously has no personal feelings on abortion access or Deal’s motivations. He obviously isn’t concerned with the narrative. I mean, there isn’t even a narrative. We never experience groupthink, especially groupthink pushed by those in positions of power. It never happens. Which brings us back to Carly. A clear and honest discussion of a tragedy—particularly before the facts are known—isn’t likely to change the narrative. Such language, such a clear and honest discussion of a tragedy—particularly before the facts are known—isn’t likely to change the narrative. There will still be those more invested in politics than in truth. But it does offer a stark contrast to the narrative, especially when people begin to sour on never letting a good tragedy go to waste. At a vigil for the dead and wounded held at All Souls Unitarian Universalist Church in Colorado Springs, one member stood and left when the conversation shifted to reproductive rights and the need for stricter gun control. “I thought we were here to grieve and mourn and not make political statements,” she said. “It’s important to remember the people who face harm’s way every day because of the obscene access we have to assault weapons in this community. If we do not recognize something must be done, then we have fallen short in honoring the lives of those who have been lost,” Nori Rost, All Saints’ senior minister, responded. Yes, that’s it. Dear’s actions weren’t about him and what was going on in his head. They were about rhetoric and the problematic nature of the Bill of Rights. If we don’t recognize that, then we dishonor those who have died. It’s all so simple. Evil doesn’t make sense, and trying to find a reason for it is often futile. Alas, for those who seek political ends from all means—those who don’t really grasp love or goodness or joy or any other thing except power—this truth doesn’t offer them a chance to denounce their opponents nor reasons to increase the size and scope of government. It is too ethereal and not as malleable as they would like. When it comes to tragedies like those in Colorado Springs, truth unfortunately is in the eye of the beholder. Even if Deal stops muttering, it will remain there. At the end of the day, we’ll be left with nothing to believe but what we can piece together from the event and his statements, while the Left will believe what it knows. 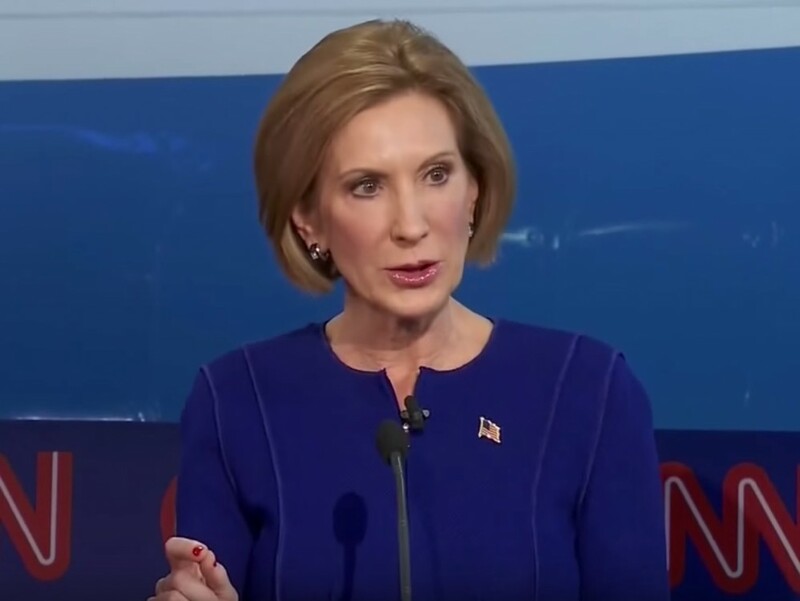 Given the Left knew what they believed even before the shooting, we all have to be a bunch of Fiorinas. We have to be calm and dedicated to the truth, be firm and respectful, and refuse to accede to the narrative. The alternative is to let evil determine the conversation and the state deprive us of anything worth having.